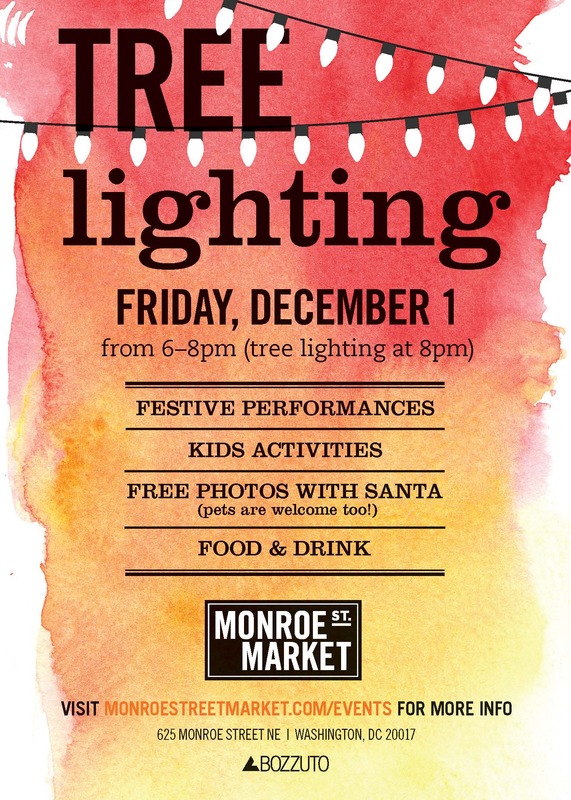 Join friends and neighbors to celebrate the splendor of the season at Monroe Street Market’s second annual Tree Lighting! Enjoy festive holiday performances, kids activities, free photos with Santa (for pets, too! ), and food & drink from onsite retailers before helping us count down to the tree lighting at 8PM. Our tree was voted one of the best in the city by Curbed DC last year, so be sure to join us to check it out for yourself!